This last one is where my family comes in, and it drives me nuts. My family loves all you can eat and although they call it “brunch,” what they really want is an all-you-can-eat lunch buffet. I will refrain on throwing in my two cents on brunches that are actually lunch but advertised otherwise, since this is a special occasion. So this year we lined up a couple options that would fit your needs for whatever it is you want for mom, and as always, if you have questions feel free to contact us on the contact tab up top, or via Twitter. So you want somewhere quiet, somewhere quaint. 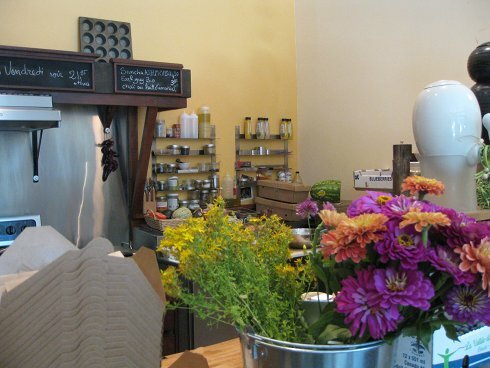 There are a few spots that come to mind, like Sain Bol (5095 rue Fabre) on Fabre, south of Laurier, with its inspiring menu and use of organic and market-fresh items. Chef Frederic Houtin does an amazing job in a quiet, laid-back neighbourhood spot. 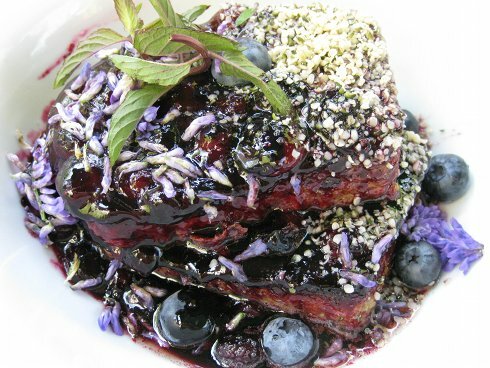 Dishes like their French toast and Omelette are but a few items that mom will love. Reservations are not usually possible, but if you call 10-15 minutes before they can give you a heads-up. If your mom loves healthy, organic food, with an impressive presentation, taste and cozy décor, then do try Sain Bol. Griffintown Café (1378, Rue Notre Dame Ouest) has delicious brunch items, is well-lit, laid-back, and never fails to impress. 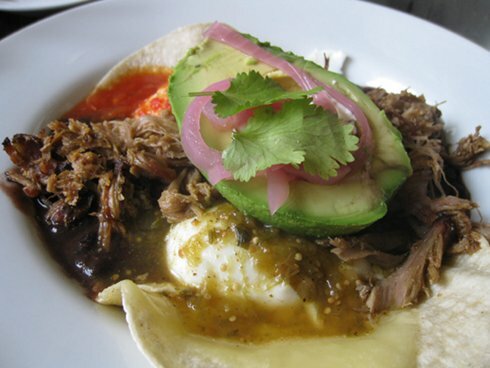 I am a particular fan of the huevos divorciados with pulled pork. Reservations are possible but they are conditional based on time and how many you will be. You will definitely be satisfied with the food and décor and the neighbourhood is not that busy with traffic. 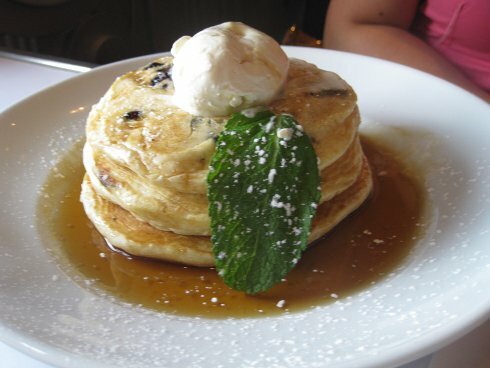 Lemeac (1045, avenue Laurier Ouest) is a great spot for Mother’s Day: they do reservations, they offer a classic French cuisine take on brunch, and all along with great service. The menu items have never disappointed me; the Pain Perdue is a personal favourite here. The place itself is well lit and has that nice polished look to it, so if you are looking for that particular fancy spot this is it. Birks Café (1240, Square Phillips) is white-glove-fanciness applied to brunch. 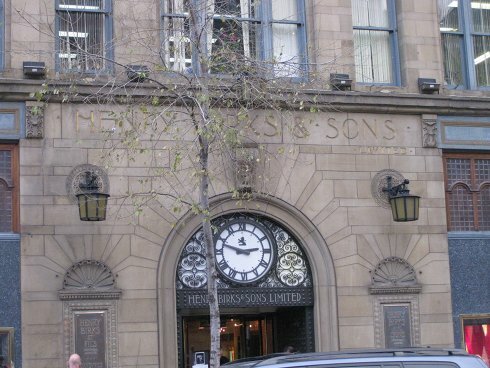 It’s situated inside the Birks Jewellery store and has that old-world look to it. Birks Café offers a multi-course menu with refinement in mind. It will definitely impress mom and make for a fancy experience. Reservations are required, so don’t wait until the last minute. 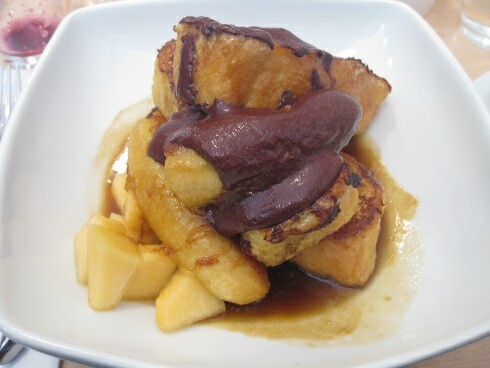 Café Melies (3540, St Laurent) is a marriage of glass and steel, the menu has some impressive items, and their pancakes are quite memorable with other menu items providing impressive plating and taste. The décor here is more modern but definitely has that polish if you are looking to have an impressive look for Mother’s Day. They also take reservations and have a large capacity for seating, along with a small terrace if weather permits. Madre (2931, Rue Masson) is great if you are looking for a place that offers something that mom hasn’t seen before but is still in the brunch sphere. The nuvo latino menu offers some very interesting creations. It is definitely a foodie adventure. The place itself is quaint, quiet, and impressive, and they also take reservations. Overall, a great choice if you want to give mom a foodie experience. Vino (5674, avenue de Monkland) is a great option if your mom loves brunch and has been to lots of places already. Vino is still relatively unknown but puts out some amazing dishes, like their ricotta pancake, and they offer gluten-free options as well. A bonus is that they take reservations. If you live in the west end and are tired of the same old places, try Vino, you will find something quite unique and delicious. In the Old Port you can try out Verses (100, rue St-Paul Ouest) which has a very well priced brunch. The rates are as follows: adults – $39, kids (12-18) – $18, and those 12-and-under eat for free. The menu offers an entrée, main and dessert, all for a fixed rate. Reservations are possible and there is good seating capacity. The interior is impressive and is a good spot considering you get the Old Port as a background. Now comes the all-you-can-eat brunch buffets. Normally a brunch buffet will cost you under $40, but many of the places I have contacted are charging at least $10 more for the Mother’s Day weekend. They often offer something a little more than the normal weekend brunch, so you will need to contact them to see if they fit the needs you are looking for. In many of the descriptions I have included a link to their site and menu, if available. Resto Le Toit Rouge in the Hotel Universel (5000 Serbrooke East) Montreal has brunch in the east end. Their menu offers sea food, including fresh lobster, meats, such as veal and cold cuts, and salads, pastas, cheeses, and desserts. Prices are $42.95 for adults, $14.95 for kids 4-12, and kids under 4 eat for free. The Metropolitan Golf (9555, Boul. Du Golf) has a brunch buffet with multiple stations at $49.95 for adults, $29.95 for kids 5-12, and free for those under 5. Tickets need to be purchased so you have to contact them in advance. Suite 701 (701, Côte de la Place D’Armes) is another great Old Port option that offers a five-station buffet at $45 for adults, while kids 12 and under can eat at half price. 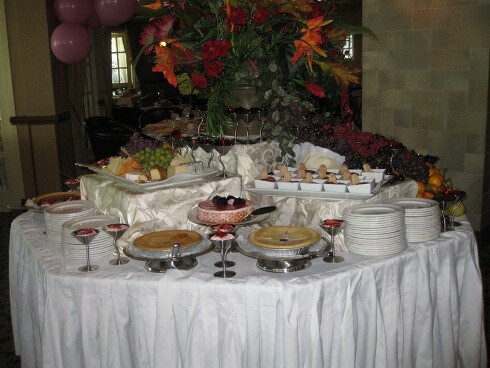 You get a cold or warm buffet, and an eggs, meat cutting, and dessert station. Reservations are possible and it is great for all group sizes. Vieux Port Steak House (39, rue St-Paul East) has a very well priced multi-station brunch buffet at $24.50 for adults (add $6 for a lamb option), and $12.25 for kids under 10. The capacity is quite large and reservations are possible, making it easy for large groups. It also has that steak-house feel with the benefit of being in the Old Port, so you can walk off that meal and take in the sights as you enjoy a nice lazy Sunday along the cobble stones. 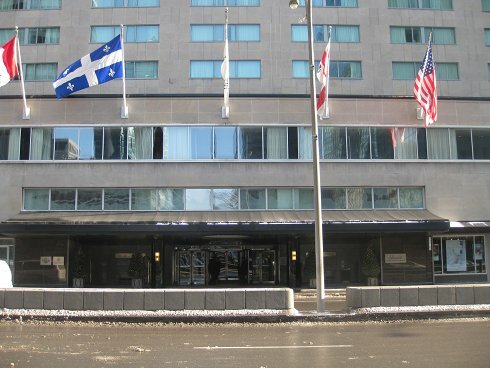 The Queen Elizabeth Hotel (900, Rene Levesque West) offers two options. There is the Beaver Club, which is a fancy restaurant, and where I do know that they used to have a dress code with jacket recommended. I heard the dress code is no longer enforced, but call ahead to make sure. The price is $70 plus tax and service, all of which gets you a 3-page menu with a varied buffet option, a full main-course dish (fish or premium cut of meat), and loads of desserts. To be honest, I never knew that they did brunch at the Beaver Club, although this may be only for special occasions. The second spot in the Queen Elizabeth is Le Montrealais, which is priced at $65 plus tax and service. The menu is a 3 pager as well, along with a main course dish. There are some similarities in the items, although the mains are different and the culinary styles differ. I would suggest looking at both menus if you can and compare which suits you best. Also downtown is Delta. There are two Delta locations offering a Mother’s Day brunch. There is a Delta close to Sherbrooke (475, President Kennedy) which has varied menu combining classic breakfast items and vegetables, pastas, etc for $29.95. There is also the Delta with the rotating restaurant on the 30th floor (777, University), where the price is $78 for adults, half price for kids 7-12, and free for kids 6 and under. These prices do include tip and taxes and they state that there is entertainment for children, which is a nice idea if you have some kids with you. The menu is two pages loaded with options and stations. The bonus is that the view is great, helped by fact that the restaurant is constantly turning, offering you continuously different views, which is something kind of neat. The Hilton (2225, Autoroute des Laurentides) is up in Laval, which is great for those in the 450. 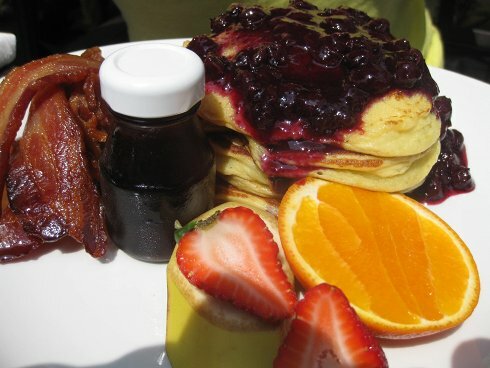 You have a brunch buffet option priced at $48 for adults and $24 for kids between 4 and 12. You get multiple stations and a never-ending buffet. I’ve been here a few times and have enjoyed it. You can make reservations and it works for large and small groups. Across the street is the Sheraton (2440 Autoroute des Laurentides). They have an option of the restaurant or the reception hall. I personally prefer the restaurant, and the price is the same, with adults at $47.99, $24.99 for kids aged 4-11, and kids under 3 eat for free. I have also been here before and there is a large selection for hot and cold buffet options, as well as stations. Chateau Vaudreuil (21700, Trans-Canada Highway) is an option for those in the west end of town. I have been here before as well, and back then they offered a buffet with various options and a full main item. They were unable to provide a menu when I asked them but they did say the price was $46.95, although do call to reserve. So there you have it, a Mother’s Day Brunch round up. We hope this helps you make your decision, and do call to confirm information since often things tend to change and you don’t want to be caught with any issues or complications on mom’s big day. If you feel we missed a spot, feel free to comment and we will add it to next year’s round up. As always, if you have been to one of the places listed above and want to share something, please comment so others can get some feedback. 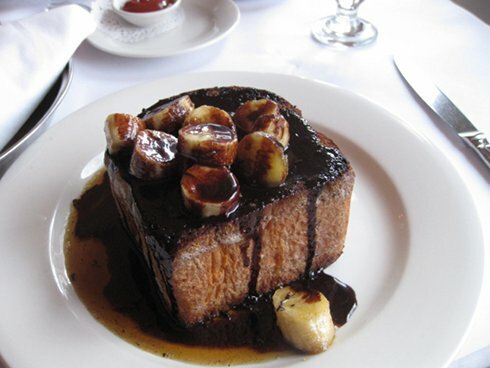 I’m thinking of taking my wife and 18-month old to Vieux-Port Steakhouse for this year’s mother’s day. Sounds like a good balance between good food and family friendly surrounding. Only question I have is: is it busy? Would you know? I just don’t wanna end up somewhere where we’re the only people eating. I personally haven’t been there for brunch yet, I trust that there should be an ample amount of people, since they regularly do brunch and it is well known. I think you should be safe, do let me know how it turns out. Fair enough, that’s what I thought. Yeah so I went to Vieux-Port Steakhouse, and honestly it wasn’t that good. Way too busy, meaning the place is a little messy (but I guess it’s good for them). Also, at $30 a person for a buffet, I expected a more refined food selection. 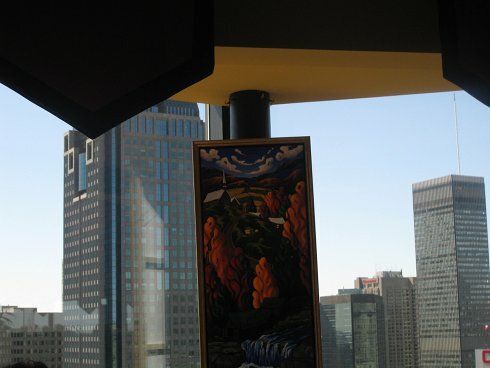 Pay a few bucks more and you can go to Le Montrealais for a much more refined and classy experience. Hey! Great post. Just a question though.. Isn’t the restaurant you labelled “Vino” actually Prohibition? I’ve been and that’s the exact dish I had (pictured). Also, the address matches. Yes it is they changed their name recently. This post was written before the name change.